Jerry's Cub Scout troupe has a chance to win a trip to the World's Fair in New York City. When one of the fathers cancels out of the Cub Scout trip, Lucy and Viv show up to take his place. They mess up every event planned, which will ruin the scouts' chances of winning the free trip to the World's Fair in New York. After losing the canoe, Lucy goes searching for it and gets lost. The rescue team of Mooney and Vivian set out to find Lucy and also fare just as poorly, unable to find the redhead or their way back to camp. The scouts' ingenuity in finding missing Lucy, Viv and Mr. Mooney, helps win them their World's Fair trip. 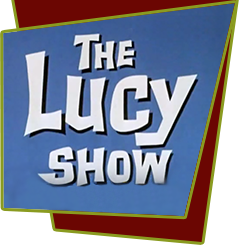 Special Notes: Note that the Indian outfit and wig that she wears in this episode is the same one she wore on episode #59 of I Love Lucy in "The Indian Show".